The Old Dominion Equestrian Endurance Organization, Inc.
Sire is Syndicat (Bandjo de Falgas x BHR Tamersyn by *Tamerlan) a Russian/French/Crabbet stallion of outstanding conformation, whose get are proving to be outstanding and durable in the sport of endurance (look for Par Ammour, Traction, Perseverantz, Poetrie, Lorienn, Torrential), Her dam is Truuly (Stratagem X Trojkaa by *Moment), a mare line that has produced, among others, such outstanding endurance horses as: Trafic, Triassic, and Traction. Tickets available online through PayPal, or at rides or through the mail. THE 2019 NO FRILLS RIDES! If you can't ride but would still like to be part of this fun season-opener, we have lots of volunteer opportunities open. Scribes, Pulse takers, timers, volunteer crew at the away vet check (remote location), drag riders. Don't forget: ONLY volunteers sign up in advance will be allowed out to the away vet check. Just email Diane at dcconnolly24@gmail.com to let her know you are ready, willing, and able to help out. If you have a special area you'd like to help with, let her know that, too! Many, many thanks in advance to everyone who pitches in to make this annual ride such a great success year after year after year! The ODEEO is hosting this welcoming clinic designed exclusively for those who are interested in the sport of endurance, but want a chance to "try it out" in a relaxed, non-stressful venue. This will be a less structured and more informal affair than our fall clinics, an opportunity to camp with your horse, practice riding endurance-style trails, and pick the brains of experienced endurance riders. It will also be an appropriate venue for introducing a new or young horse to camping, strange horses, and unfamiliar trails in a relaxed, non-competitive setting. Participants will arrive Saturday morning and set up camp. 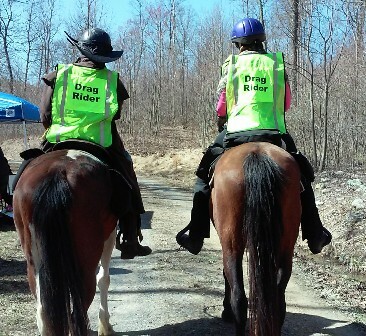 Volunteers will be available to assist you with this if you're new to horse-camping. Once you're set up, you can check out examples of endurance tack and equipment, practice the vetting procedure, ride the approximately 5 miles of marked trails (with or without an experienced mentor), and snoop around other peoples' campsites to see what creative ideas you can copy! We hope to have someone available to give a tutorial on trailer parking (backing up, leveling, etc.). In the evening we will have a potluck supper and maybe a campfire (if weather permits). Sunday morning you can pack up and leave right away if you've learned everything you need to know, but we hope that you'll stay and go out for another ride! We'll probably have some new volunteers who couldn't come on Saturday with more and different knowledge to share. For more information, please see our Events page, or click here. 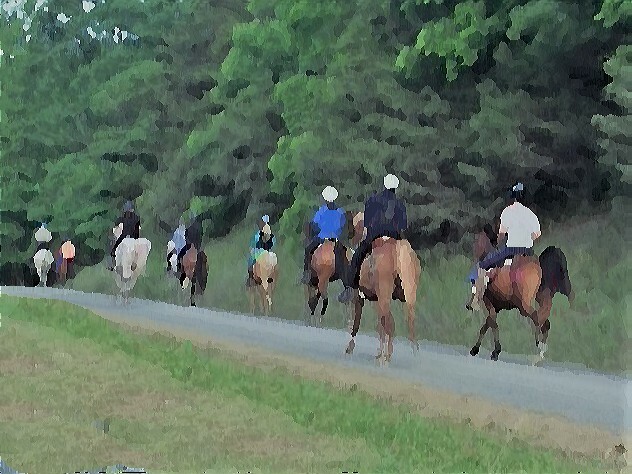 Old Dominion Equestrian Endurance Organization rides and events are privately held and are open only to registered participants and their guests, ride/event management, volunteers, and staff. All ODEEO endurance rides are sanctioned by the AERC. AERC rules and regulations apply. Please read the rule book at aerc.org for complete information.